You can’t achieve success without determination, dedication and hard work. Starting from working in a machinery factory at Hunan Province, Liang Wengen worked hard, and it paid off with a simple idea of manufacturing construction equipments. He co-founded a small factory of welding material in Lianyuan, his hometown, which later became foundation for his Sany Group. Today, it is one of the biggest privately owned construction equipment makers in China. 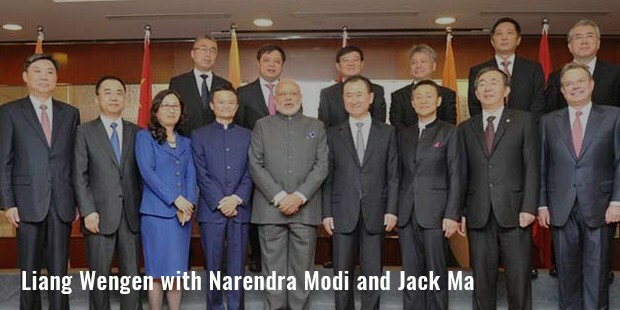 Born in a family of peasants, he is a self-made man with a net worth of around US $ 5.2 billion. Since 1978, Liang has been a significant part of the economic growth of China. He started by working with a state-run plant of arms, and now, he tops the lists of wealthiest individuals in the country. 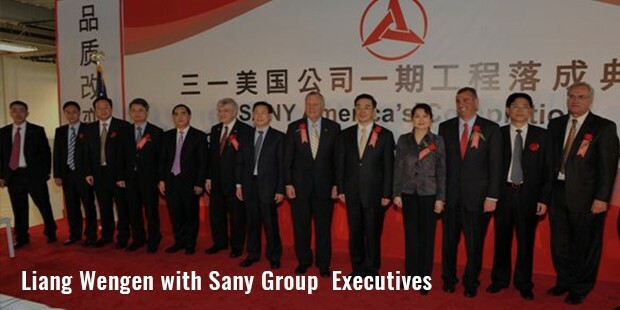 He established Sany Group in the 1980s with three other partners. At that time, it was the first Chinese company to conduct a structure reform of split share, and it internationalized itself by establishing overseas acquisitions. In 1986, he had quit his state-run firm post, and tried to trade ships, but met failure. He tried hands at several other businesses, including making wine, but failed. 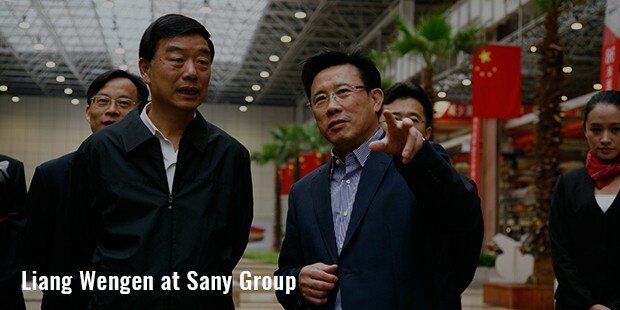 Then, he returned and started focusing on the heavy industry, and founded Sany in 1989. The country’s development in infrastructure construction gave several opportunities to Liang to become successful in the industry. He said, "Although we didn't know much about infrastructure projects, we did know the equipment needed in the infrastructure construction". As China made its economy more open, Sany was able to split the state monopoly, and smash the dominance of international players. Gradually, Liang recruited talented managers in his firm, with whom he quickly developed into one of the leading construction equipment manufacturers in the country. Supported by enough supply of capital, Sany’s excavating machines and concrete pumps started beating foreign companies, and gained biggest share of market in China. By 2011, the company became a well-known name in the list of construction equipment makers across the globe. In 2012, Sany purchased Putzmeister, producer of concrete pump equipment. The buy over is the biggest German Sino transaction made till date. With this, Sany got recognized as a main international player in the industry. Before this acquisition, the company used to be domestic player only, and its exports made no more than 5% of overall revenue. But today, he sells out to more than 100 areas and countries out of China. 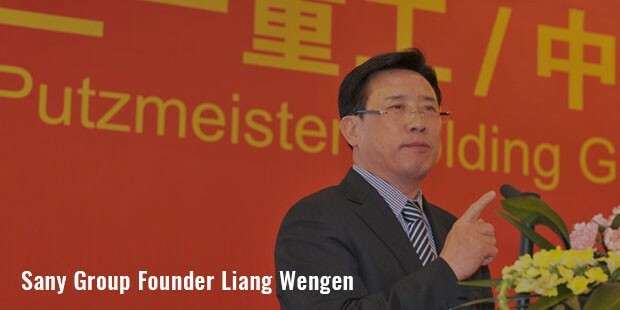 Since years, Liang Wengen is dominating the heavy manufacturing industry of China, and his operations are expanded to 100 different parts of the globe. 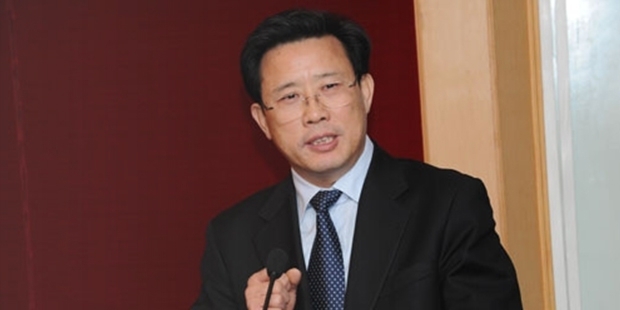 In 2011, he was listed among the richest men in China, and was also tipped to be a member of Central Committee of Communist Party of China. However, he lost the position in 2014, but is still one of the wealthiest businessmen in the world.